Moviegoers spent more than $95 million to see an adolescent Kristen Stewart get locked inside a “panic room,” act out hypoglycemia-induced seizures and come disturbingly close to slipping into a coma and dying before receiving a life-saving glucagon shot. Nearly all of them left the impression that diabetes draws the people who suffer from it into an uncontrollable tailspin toward death. The popularity of “Panic Room” pushed several emotions and questions to the surface. While some decry Hollywood’s history of extreme or inaccurate portrayals of people with diabetes, others applaud “Panic Room” and other movies that put diabetes—albeit with a little misinformation or confusion—into mainstream dialogue. Some say such movies can be wake-up calls to the public, and possibly Washington, about how serious diabetes can be. Hollywood’s depictions of people with diabetes often have grown out of the need for a dramatic element. In “Panic Room,” the story centers on a divorced woman, played by Jodie Foster, and her young daughter, played by Stewart, who hide in their New York brownstone’s secret room (the “panic room”) after three burglars break in looking for a hidden cache of money. The young character, Sarah, has diabetes and experiences an episode of low blood glucose (hypoglycemia) while trapped in the panic room with her mother. “Without that [element], obviously they could have stayed in there for days if they wanted to,” associate producer John Dorsey explains. A prison parolee, played by Nicolas Cage, and another convict, whom he befriends, are being transported on a maximum-security plane with some of the country’s most dangerous criminals. After the plane is skyjacked, the friend, who has diabetes, doesn’t receive a scheduled insulin shot, and his syringes are destroyed during in-flight chaos. Diabetes provided plenty of drama in “Steel Magnolias,” too. Many moviegoers recall Julia Roberts in the movie with beads of sweat on her lip and brow, fighting an offer of orange juice from Sally Field during a severe hypoglycemic episode in Truvy’s Salon. It was arguably the most famous scene depicting a person with diabetes in a major motion picture. Some found the portrayal of Roberts’ character terrifying because, unlike most movie scenes involving characters who have diabetes, it was true. Originally produced as a stage play, the movie was based on the story of writer Robert Harling’s mother and his sister, who had diabetes. In the story, M’Lynn, played by Field, and daughter Shelby, played by Roberts, are part of a special sisterhood that meets regularly at the local beauty salon in a small Louisiana town. The women become a crucial source of support throughout Shelby’s wedding, the birth of her son and her subsequent kidney failure. Shelby dies after a failed kidney transplant using her mother’s donated organ. Harling’s sister, Susan, died in 1986 at age 32 of kidney complications. The material was accurate, but many people with diabetes believe that it was overdramatized or an extreme example of what could happen but isn’t common. Katie McGovern also believes that overdramatization can be detrimental. McGovern, a 27-year-old from Portland, Maine, who’s had type 1 diabetes for 16 years, was bothered by the use of diabetes as a “literary convenience” in the 2000 movie “Chocolat.” The movie, in which Judi Dench portrays a grandmother with diabetes, reinforced the stereotypical labels of “good” and “bad” people with diabetes, McGovern argues. “At the end, through the metaphor of chocolate, people are able to embrace a free lifestyle and sexual freedom and reject repression of all kinds. And that wasn’t available to the woman with diabetes. Well, it was, but at a price,” she says of Dench’s character, who dies of complications from diabetes presumably brought on by hanging out in the chocolate shop instead of adhering to a healthier diet. For McGovern, this implication stung. After 16 years of fairly good control, she’s now showing signs of retinopathy. “I think [Dench’s character in ‘Chocolat’] reinforced the idea that as long as people with diabetes take care of themselves, they won’t get complications, and that could be bad for fundraising. It’s just like people thinking insulin is a cure,” she adds. Filmmakers argue that movies aren’t made to educate or advocate. Rather, they are stories designed to entertain. Rick Podell wrote the 1986 screenplay for “Nothing in Common” based on his experience taking care of his late father, who had diabetes. Jackie Gleason portrays the father, a man who’s estranged from his family while grappling with his diagnosis. Podell recalls that the directors inserted advocacy dialogue into his script that wasn’t necessary. He adds that there’s such a thing as going too far and including too much information in movies. Good stories, he says, are all about subtlety. It’s nearly impossible to gather a majority opinion about movies that portray people with diabetes. Part of the reason is rooted in the very nature of diabetes. Not every person is alike, and therefore not every experience is alike. People with diabetes generally juggle insulin or medication, food and exercise of some form to control the disease. People with diabetes and doctors alike will vouch that it’s never an exact science in terms of symptoms or treatment. That leaves Hollywood filmmakers with a myriad of options for portraying people with diabetes. And high drama reigns. No matter what the root of the story line, dramatic portrayals of people with diabetes are sometimes fraught with inaccuracies or fail to offer a clear picture of the disease and its effects. Many people with diabetes fear that pop culture’s take on the disease may help to spread what’s already an epidemic of confusion about a condition that affects a growing number of Americans. “Con Air,” for example, contained ghastly inaccuracies and left the audience with the impression that death was imminent for the character with diabetes. Even when stories involving a person with diabetes are technically accurate, they can lead to misconceptions that linger. Gardner was appalled. Her husband, Carey, had been diagnosed with type 1 diabetes nearly two years ago. A friend of his with the same diagnosis almost died after being given insulin by a well-meaning friend during a severe hypoglycemic episode. Dorsey says the issue came up during test screenings. The “Panic Room” script originally had problems. Cline, the technical adviser, fixed most of them. It’s Cline’s job to reel the creative minds behind the movies into reality—at least part of the way. For more than a decade, she has researched subjects—medical issues are a specialty—and helped change scripts and scenes to depict what she learns. For “Panic Room,” Cline researched the appearance and behavior associated with low blood glucose and other aspects of diabetes. Still, not everything in “Panic Room” was right on. A few people with diabetes were perplexed by Sarah’s ability to wolf down pizza and Coke and end up with low blood glucose. The comment suggested that her blood glucose would plummet if she got too excited. Not all people with diabetes find this to be true. When it comes to diabetes, Cline’s job isn’t easy. How can one possibly decide how to depict a disease that, as the sufferers themselves agree, doesn’t affect everyone the same way or involve the same treatment in all cases? Cline consults textbooks or seeks help from her bulging Rolodex of experts. She found details about the characteristics leading to hypoglycemia in a manual on cardiopulmonary resuscitation (CPR). One of those characteristics, she says, was “great emotional stress,” and this probably was the reason for Foster’s line. Film producer Janet Zucker, whose 14-year-old daughter, Katie, has type 1 diabetes, says research can be tricky. Cline says her job is all about that broader sense. Her role depends on filmmakers’ needs, directors’ styles and budgets. “You have a story to tell,” Cline explains. “I always say, ‘Let’s start out with reality…and then let’s cheat responsibly.’ Cheating is part of filmmaking because it takes too long otherwise. Filmmaking is broad strokes, and it’s up to me to take care of the smaller ones. My job is really to take massive amounts of technical information and edit that research down to visual units that are usable. Cline also helps movies stretch to new dramatic heights. In “Panic Room,” that meant skewing Sarah’s blood-glucose readings displayed on her watch slightly lower than they needed to be so that her hypoglycemia was severe enough to warrant a seizure. “We took some dramatic license to show how serious it was and that she had to get out of that room,” says Dorsey, the associate producer. “Saying ‘coma’ and ‘die’ may have been overdramatic. Sometimes you have to hit the audience over the head. And sometimes filmmakers don’t listen, despite Cline’s penchant for flexibility. And so mistakes are made. Case in point: When asked about a confusing “Panic Room” scene in which Foster orders Sarah to drink lots of water to help keep her blood glucose from falling, Cline only needed to flip through her files to know she had done her job. Those who make movies, live with diabetes or do both agree: Hollywood must take responsibility for accuracy and sensitivity, especially with regard to medical issues. Cline points out that the public has a responsibility, too. Pam Payne of Fairlawn, Ohio, whose 16-year-old daughter, Sara, has had type 1 diabetes since age 8, believes that Hollywood underestimates its influence. Janet Zucker, a film producer and mother of a teenage daughter with diabetes, takes a proactive approach to the issue of diabetes, including its portrayal in the movies. Along with another Hollywood couple who has a child with diabetes, Zucker and her husband, Jerry, founded CuresNow (Citizens United for Research & Ethics in Science) earlier in 2002 to lobby in favor of embryonic stem cell research. The group sponsors a Web site at www.curesnow.org. Although opposed to human cloning, the nonprofit group believes that stem cells and therapeutic cloning hold the most promise for curing diabetes and many other diseases. The group has already resurrected advertising characters “Harry” and “Louise,” the couple who helped scuttle the Clinton health plan, in commercials taking aim at President George W. Bush’s efforts to ban all forms of cloning. Zucker says that another goal is convincing Hollywood to include more characters with diabetes in story lines, adding that more good than bad will come from the disease being featured on the silver screen, even when it’s imperfectly portrayed. That’s because it wasn’t a GlucoWatch Biographer. But producers wanted it to be. 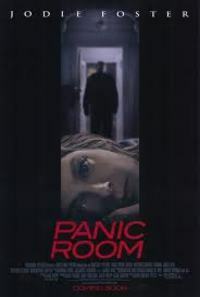 Associate producer John Dorsey heard about the product’s development in the fall of 2000, when crews were already filming “Panic Room.” He thought the item was the perfect candidate for a product placement deal. Producers approached the manufacturer, Cygnus, Inc., with the idea. But the timing was bad. The company didn’t have a few thousand dollars sitting in an advertising budget yet and was still meandering through the sensitive U.S. Food and Drug Administration (FDA) approval process for the regulated product. Craig Carlson, chief operating officer for Cygnus, explained that the company decided it was inappropriate to promote a product that wasn’t on the market yet and didn’t want to jeopardize FDA approval by putting the product in a situation where it could be misrepresented. “If it were a Coke can, you would not have all those issues,” Carlson said. So what was that cute, compact watch that we saw in “Panic Room”?